Suzhou, China - No.28 Pingjiang Rd. 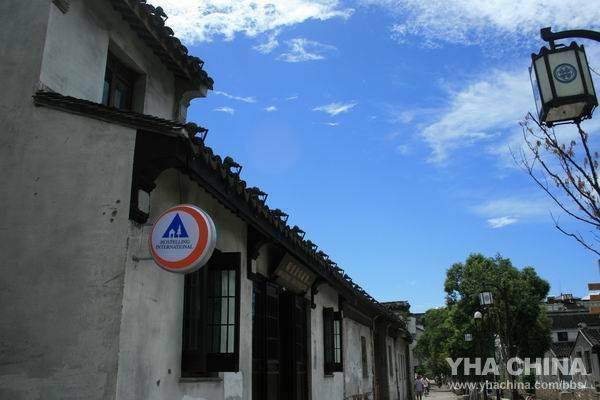 Pingjiang District is the most ancient block in Suzhou downtown thousands of years, Ping Jiang Rd keeps the old pattern--road paralleling to canal , which makes it the most attractive ancient block. 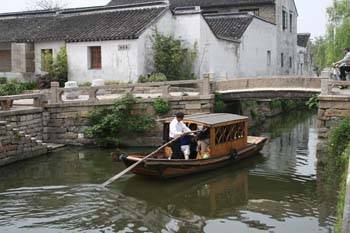 with the background music of Pingtan Opera, visiters could take the wooden boats along the canal and observe native peoplelife there . 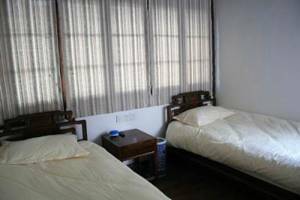 The hostel is next to lots of historic sites and key points of interest, former residences of celebrities, classical gardens as well as Buddhist and Taoist temples. It only takes ten minutes walk to famous sights like Humble Administrator's Garden, Suzhou Museum, The Lion Forest Garden, Shan Xi Assembly Hall, Couple Garden, Guan Qian Street and there are also many buses to other sight-seeing spots in Suzhou city . 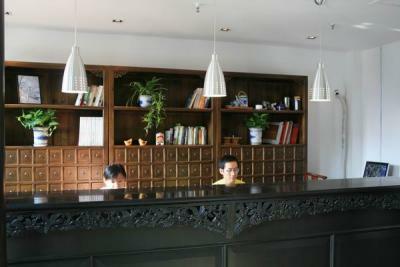 Youth Hostel is rebuilt based on a building complex of Ming & Qing Dynasties, while keeping the architectural style of southern Yangtze River area. 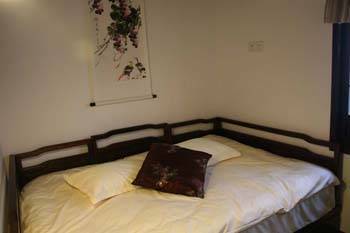 With ancient bridges and tablets around it, the hostel looks like one integrated mass with the primitively simple and leisurely historical style of Ping Jiang Road. Pay in cash when you check in. Tell us your arrival time in advance. 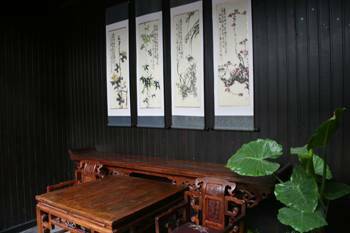 lies at the south end of Ping Jiang Road, next to lots of historic sites and key points of interest, former residences of celebrities, classical gardens as well as Buddhist and Taoist temples. It only takes ten minutes walk to famous sights like Humble Administrator's Garden, Suzhou Museum, The Lion Forest Garden, Shan Xi Assembly Hall, Couple Garden, Guan Qian Street and there are also many buses to other sight-seeing spots in Suzhou city from here.